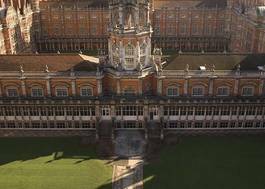 Study Theoretical Physics at Royal Holloway, University of London - Which? Including Distinction in all Maths and Physics units. 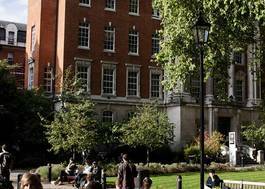 Please note that the Access to Higher Education Diploma will only be acceptable if the applicant has had a considerable break from education. 6,5,5 at Higher Level including 6 in Maths at Higher Level and 5 in Physics at Higher Level with a minimum of 32 points overall. Plus grades A in A-level Maths and A in A-level Physics. Plus a Pass in the practical element of any Science A-levels taken. Including A in Maths and B in Physics. On our four-year Theoretical Physics MSci, you will cover all the core material that a graduate physicist would be expected to know, but there will be more emphasis on developing what you will have learned during A Level Mathematics and Further Mathematics, to allow a deeper conceptual understanding of classical and modern physics. This emphasis on theoretical concepts and foundations could help give you a deeper appreciation of the beauty and surprises of Physics. 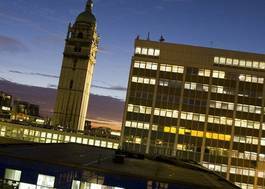 Your fourth year is intercollegiate, which means you can pick choices from other University of London colleges – modules can include Quantum Computation, Nanoscale Physics and others. You’ll also develop experimental, conceptual and observational skills from your final year Major Project, which will make you an attractive candidate in a range of sectors, including management and finance, as well as scientific, technical, engineering and teaching careers. - Research is expanding in new and exciting directions, plus strategic partnerships such as CERN and the National Physical Laboratory (NPL), SNOLAB and with industry, and there are impressive research facilities in the Physics labs with dedicated technical help. - We put a real emphasis on small group teaching – a close-knit, friendly and supportive environment with high staff-student ratio and an open door policy. 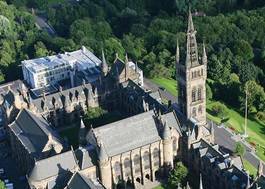 - We enjoy a strong track record of high student satisfaction in the annual National Student Survey. - We’ve been awarded IOP Juno Champion and Athena SWAN silver awards for best practice in equality, promoting women in science and welcoming large cohorts of female students.